How to thrive at 90: Thanks, Uncle Woody! I went to Madison, Georgia in November to visit with my Uncle Woody. I have known and admired him and my Aunt Ruth (my mom’s sister) for my whole life. Woody is 90 years old and going strong. At age 90 Uncle Woody is going strong, staying active in work and his community. Two days a week he volunteers a full day as curator for the Morgan County Archives, working with his daughter-in-law Linda Williams. He interacts with people of all ages as he helps them with history and research. Love Family, Faith, and Country. Uncle Woody loves his family. In 1945 he drove from Seneca, SC to California to marry Ruth while she served her country. He had just returned from serving in Europe. 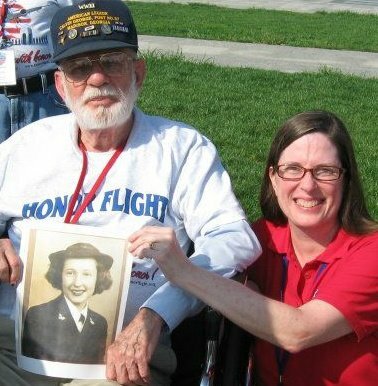 Uncle Woody was proud that he could honor Aunt Ruth’s years of service by going with his daughter Laura Jane on an honor flight to Washington. Find a passion and stick with it. Uncle Woody has a passion for history and for helping his community. He planned and supervised the conversion of an old jail into the archives building. He helped fill it with historical treasures from his community. He probably knows more about history and archaeology than just about anyone around. He still invests his time and energy in his passion. I was fascinated by the old jail building and Woody’s restoration project. Woody loved locking me up in the old cell in the archives, which was formerly the Morgan County Jail. Martha offered him a bribe to keep me locked up. Lucky I am not still there! Woody and Linda took us to a meat-and-three diner just off of the courthouse square in Madison. Good Southern cooking! Of course Woody knew everybody there. Woody stays healthy with good food and exercise and avoids medicine when possible. I was happy that he also maintains good dental health and is able to eat and enjoy good food. Madison, Georgia is a beautiful place. I see why Uncle Woody loves living here. I know that Madison is a better place because of Uncle Woody’s contributions. Woody has always loved history and genealogy and has become a respected expert. He keeps learning and developing new skills. Uncle Woody showed Martha how to research her family using the computer and even pulled up her grandfather Storey who died in the Civil War. I wish I had his computer skills! Woody is probably the smartest man that I ever known, and is even cooler than the Dos Equus “most interesting man in the World”. Uncle Woody always amazes me! Uncle Woody denies all of the accusations from me but I know they are true. I am glad I visited him and could pass on some lessons in life from Uncle Woody. When I grow up, I hope I can be the kind of man Uncle Woody has been. Please leave questions or comments below. 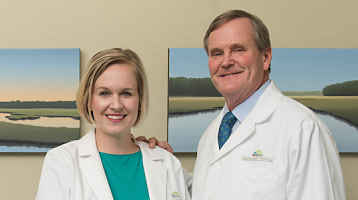 If you have questions about your dental health Cranford Dental will answer these. For questions about anything else in life I feel sure that Uncle Woody will be able to help.